Fabulous 2 story Highlands Ranch home. 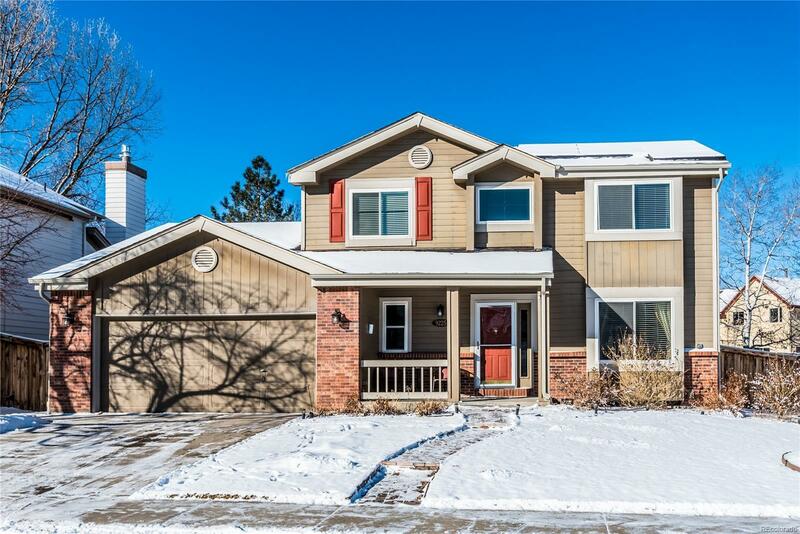 This light filled & spacious 4 bedroom, 3.5 bath home features a formal living room & dining room, a beautifully updated eat in kitchen with granite countertops & travertine subway tile backsplash, a spacious family room with a gas log fireplace & mantel as well as a fully finished basement. Don't miss the beautifully updated 1/2 bath on the main level. The professionally finished basement is perfect for entertaining guests or makes a great teen suite with built-in wet bar w/ granite countertops, a large recreation space, 4th bedroom & updated 3/4 bathroom. Outdoors boasts a large level backyard as well as a solid wood gazebo covering an extended patio, professional landscaping, shed & sprinkler system. Recreation is abound with access to 4 recreation centers & trails. Close proximity to all 3 schools, shopping and parks, you are sure to love this home.